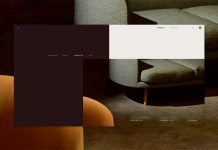 The LAGOON model, a unique coffee table designed by Alexandre Chapelin for LA TABLE. 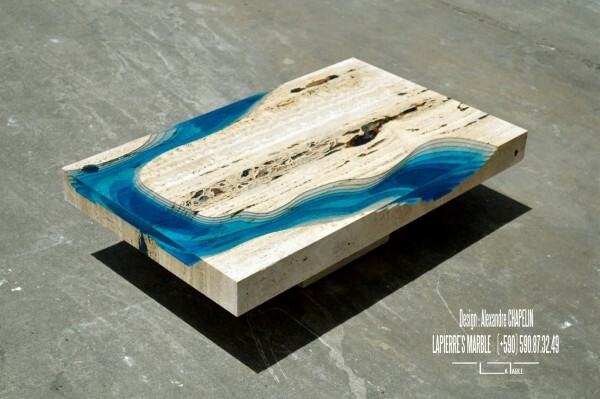 The LAGOON coffee table is something for individualists, people who are looking for something unique to beautify their premises. 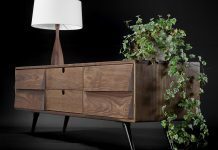 Alexandre Chapelin has designed and created this unique piece of furniture for LA TABLE, a design collective who creates custom tables for customers who are looking for something special. 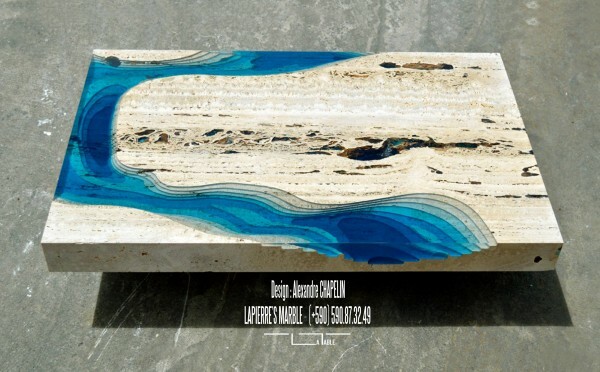 The LAGOON model has been sculpted using a massive piece of marble. 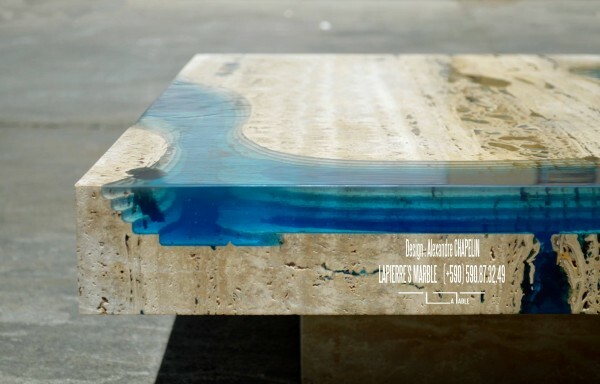 Alexandre Chapelin has sculpted the table with a deepening to show a drop representing the slopes of the ocean or a lagoon. 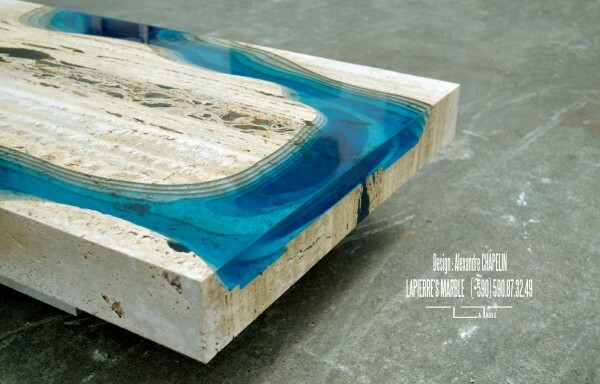 In the next step, he has filled the deepening with resin in order to create the volume of “water” in the table. 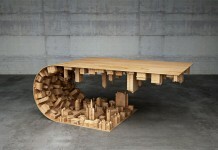 The creative people of LA TABLE are able to create a similar model like this in different sizes. 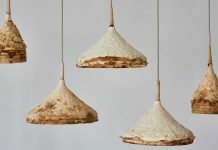 Check out the detailed images below or have a look at LA TABLE’s website to discover other models. 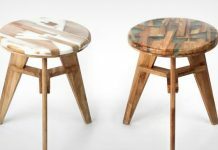 If you are interested, they can create your own unique table according to your individual needs. 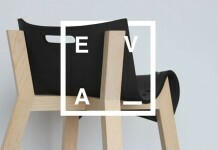 They can design and create a unique bespoke table that reflects your own personality. 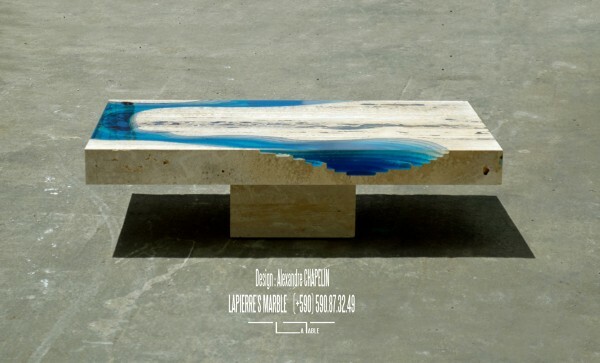 The LAGOON model by Alexandre Chapelin is a unique coffee table. 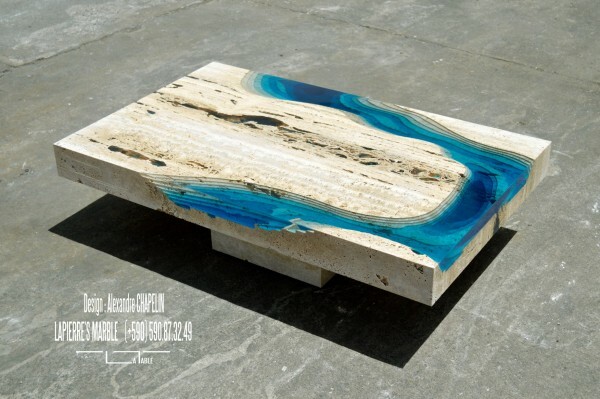 The table has been sculpted from a piece of marble. 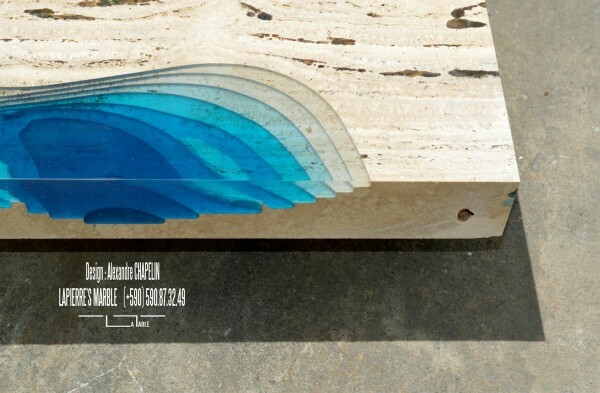 The coffee table has a sculpted drop to show the slopes of the ocean or the lagoon. The close up view of the edge shows the volume of the lagoon in the table. Another detailed view that shows the water effect caused by the resin. View from top of the table. The deeper the drop the darker the blue color. 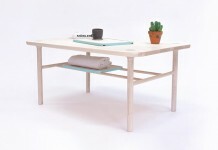 The LAGOON coffee table from La Table. 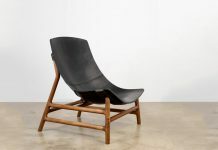 A unique piece of furniture designed for individualists. 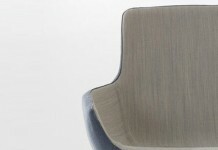 I recommend you to check out WE AND THE COLOR’s Interior Design and Product Design categories. 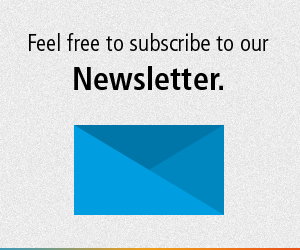 Both sections are packed with lots of outstanding projects that will inspire you!